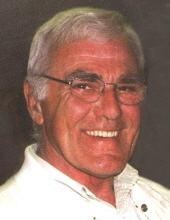 Jerry L. Chapman, 81, of Waterloo, died Tuesday, April 9, at Ravenwood Specialty Care. He was born May 5, 1937, in Manly, the son of Harley and Laurene Dunham Chapman. He married JoAnn Hurd June 6, 1964, in Davenport. They later divorced. Jerry owned Chapman Construction Company building homes in the Waterloo/Cedar Falls area until the late 70's, continuing in Real Estate as a private investor. He then worked with Witham Auto for 30 years in the Finance and Fleet Sales Departments before retiring in 2016. He served our country honorably as a Corporal in the United States Marine Corps. Survived by: two sons, Todd (Cindy) Chapman of St. Francisville, La. and Scott (Nicole) Chapman of Boise, Idaho; two brothers, Harley Chapman and Richard Chapman; three sisters, Annette Crowe, Gloria Postel, and Nancy Peterson; three grandchildren, Taylor, Connor, and Christian Chapman; and two great-grandchildren, Keigan and Aiden McClelland. Public visitation will be from 1-4:00 p.m. Thursday, April 18, at Hagarty-Waychoff-Grarup Funeral Service on South Street with burial to follow at Waterloo Memorial Park Cemetery where full military rites will be conducted by the Waterloo AMVETS Post 19 and Evansdale AMVETS Post 31 along with the United States Marine Corps Honor Guard. To send flowers or a remembrance gift to the family of Jerry Lee Chapman, please visit our Tribute Store. "Email Address" would like to share the life celebration of Jerry Lee Chapman. Click on the "link" to go to share a favorite memory or leave a condolence message for the family.